Pay attention to bumper stickers the next time you’re stuck in traffic on 41 – among the stick figure families and ‘COEXIST’ stickers, you’re likely to spot a self-deprecating joke stuck to the back of a Honda Odyssey. The minivan’s coolness factor is a divisive subject – perhaps even more so than the hot dog as a sandwich debate. Moms and dads with sporty and social kids admire the minivan’s ability to haul cargo safely, while other drivers see them as the funeral knell for their cool selves. While we’d argue that minivans can 100% be cool as heck, there are sporty, zippy, and super sweet alternative rides for those who are staunchly anti-mom van. Before we get into the list, here’s a note on cargo volume and MSRP – and why these things should matter to you. Cargo volume (sometimes cargo “space” or “room”) is the total cubic feet of space in a car’s cargo area. With SUVs, minivans, and hatchbacks, this value is typically listed twice, once with the seats up, and a second time with seats down. Cargo volume may seem like an abstract number, but it’s an important factor to consider when choosing a family vehicle that will need to tote groceries, luggage, and lots of people from A to B. All the vehicles reviewed in this post (apart from the Honda Ridgeline, which is a pickup and is measured differently) have a cargo volume of 40+ cubic feet with the seat area. In other words, all the vehicles on this list can haul a family’s stuff, with some models being more spacious than others. The 2019 Honda Odyssey, for comparison, offers 32.8 ft³ of cargo, or 140.7-144.9 ft³ with seat area, so we recommend either #5 or #7 on this list if you want the minivan space (but not the minivan look). MSRP, or manufacturer’s suggested retail price, is about what you’ll pay when driving a new make/model off the lot. If cars have been owned (are used), that number will vary. For the purposes of this post, we include new MSRP values. To make your comparison shopping easier, here are MSRP values for the last few model years of the country’s most popular mini – the Honda Odyssey as well as a family go-to, the Dodge Caravan. This lesser-known SUV tops U.S. News’ top subcompact list for a veritable laundry list of reasons. Named after the Hawaiian district, the Kona benefits from a sporty, trim exterior and boasts “a comfortable cabin, user-friendly features, and above-average reliability.” It’s also reportedly a fun ride, and comes in seven colors including peppy “Surf Blue” and our personal favorite, “Lime Twist.” You and the kids will have lots of fun in the Kona whether you’re cruising along Do-Co roads – or playing with its intuitive infotainment system. This Lexus is less a luxury sedan and more a sporty mid-size SUV with decidedly Subaru-esque lines. Critics love it for its smooth ride, roomy interior, and unparalleled dependability. 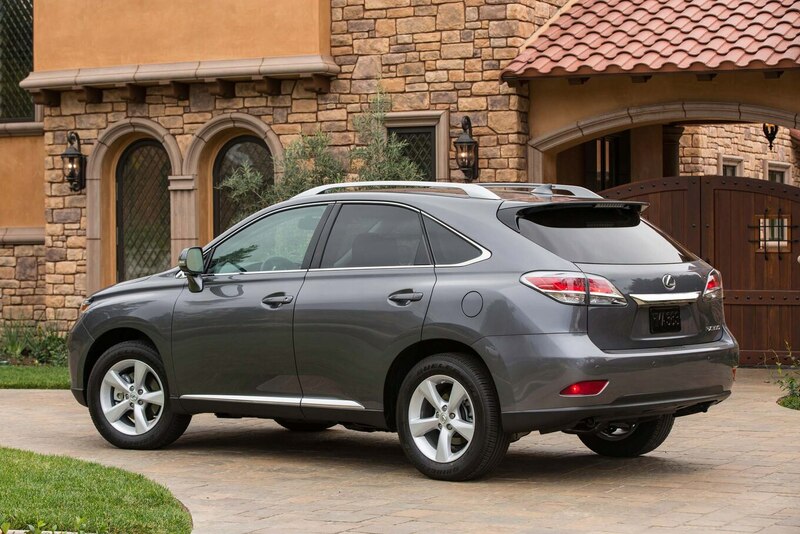 The RX 350 offers lots of muscle, too, in the form of a 270 horsepower V6 with a 3,500-pound towing capacity. Parents will love it for family rides, as the RX 350 received top safety ratings and some base models come equipped with premium features like blind spot monitoring. 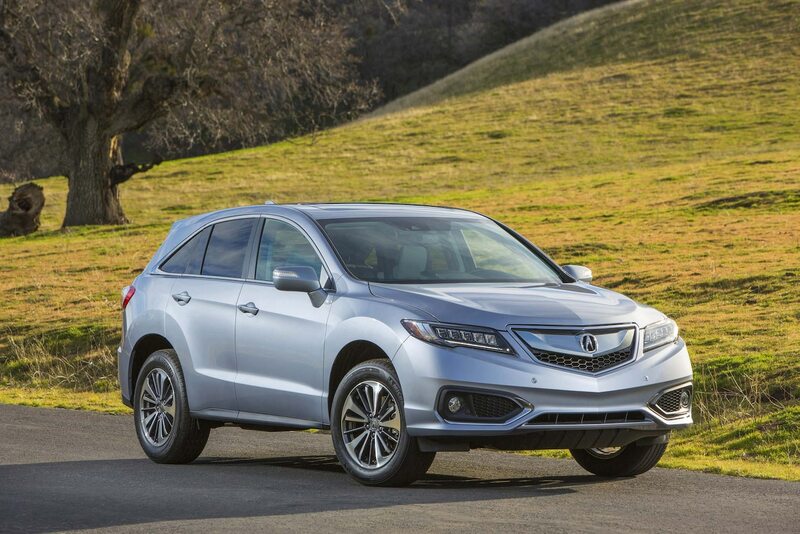 A 2017 finalist for “best luxury compact SUV for the money” from U.S. News, the RDX is a sporty-looking beauty with lots of power, smooth handling, a luxe cabin, and excellent safety scores. The RDX wins brownie points with safety-conscious drivers with its surround-view camera, lane departure warnings, and a head-up display. We’ve gone back a couple years in the Acura calendar to help you score the best Acura SUV for the money. Named for the mythical figure who could haul the sky on his shoulders, the Atlas lives up to its namesake, and does it stylishly. Car and Driver elaborates, “With a boxy shape and beefcake styling, the Atlas provides family-friendly passenger and cargo space without so much as a hint of a mom-mobile image.” The Atlas boasts the most cargo space of all the vehicles on this list – and most vehicles off this list, too – so it’s ready to be packed up with bikes, yard clippings, or furniture. Ranked #2 in compact pickups by U.S. News, the Ridgeline serves up a smooth-as-butter ride, a first-class cabin, and a “long list of safety features.” Car and Driver lauds the extremely similar 2018 model for an “expertly-laid out” and “extremely functional” cabin with “the most spacious rear seat.” The Ridgeline is for folks who require a truck for work, hobbies, or yardwork but want the creature comforts of a high-end SUV. You might be seeing lots of these stunning 3-row SUVs on the road – it’s for good reason. As KBB.com says, the Traverse “offers much of the comfort, roominess, cargo space, fuel efficiency, and ease of use you get from a minivan, without actually being a minivan.” The Traverse keeps us guessing, too, with its hidden storage. A lockable compartment sits behind the infotainment screen (great for valuables and non-kid-friendly items), and another hidden space lies under the cargo floor. Pretty sneaky (and handy), sis! Last, but certainly not least, we have Subaru’s beloved wagon: the Outback. All-wheel drive is standard, seats are roomy, and the Outback offers amazing cargo space for a wagon. You’ll love your Outback in the winter for its solid handling and respectable road grip. The Outback is listed among KBB.com’s most family-friendly vehicles as it makes child seat installation easy and secure, and even when they’re in place, there’s still good legroom in the front of the wagon. So, you can still be cool while driving a functional family car. We promise. When it’s time for you to rev up a new family car, consider getting financing first with Unison. Our Member Advisors are raring and ready to help you get a great vehicle loan so when you set foot on the lot, it’s a matter of pointing, signing, and driving off into the sunset. *APP refers to “average price paid” based on research from U.S. News.